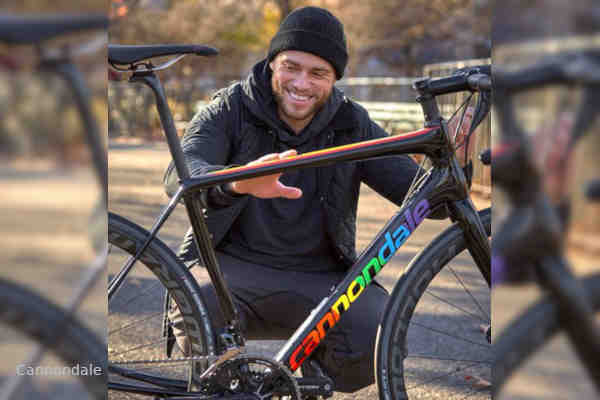 Out Olympian Gus Kenworthy will ride a rainbow-colored Cannondale bike as he takes on his first AIDS/LifeCycle, an annual ride from San Francisco to Los Angeles that raises funds and awareness about the ongoing HIV/AIDS epidemic. According to plus magazine, Kenworthy will attempt to raise $1 million, the largest amount raised by an individual rider in the event's history. Cannondale has been AIDS/LifeCycle's official bike sponsor for fifteen years. Kenworthy will train for the 7-day ride, which takes place in June, on a Cannondale Synapse Hi-Mod Disc Dura Ace. For his AIDS/LifeCycle debut, Kenworthy's bike, also a Cannondale Synapse, will include a custom Cannondale logo in rainbow colors. Prior to the event, Cannondale will auction off a replica of the bike and donate all proceeds to AIDS/LifeCycle.